I came across this organization just today ~ and had to share! I so resonate with the message, mission, and know I’m meant to get involved. Women as a Force of Nature, on Behalf of Nature! “To reinstate the value of the feminine, so that women and planet are respected and protected as the norm. Isn’t it time that we rediscovered how to operate through a balance of both masculine and feminine principles? The Feminine is the crucial missing link in our derailing world, and this campaign is for Her. TreeSisters goes where no other campaign has gone before: into the exploration of how the negation of the feminine principle is a primary cause of climate change, and how its reinstatement is crucial for our survival. Women’s wisdom, gifts, creativity and courage are needed now more than ever, and this campaign is an overt attempt to elicit and tap them on behalf of the natural world, and our children who are to inherit. I have followed Celia Fenn of Star Child Global in South Africa for many years and love her work! Here is an excerpt from Archangel Michael channeled thru Celia Fenn in July 2016 regarding the August 2016 Lions Gate Opening and forward for your discernment. It is uplifting and inspiring to me ~ so I wanted to share it with you! “Beloved Family of Light, when you began this year of 2016, we did say to you, with much love, that 2016 would be a challenging year, and that you would need to embody your Mastery in a powerful way. As the Lion’s Gate of 2016 approaches, you now prepare yourself for a New Beginning and to initiate your first major cycle of creation as an embodied Master and Alchemist. Sandra Walter is a Wayshower, Ascension Guide and Gatekeeper in Service to the New Light. As an Interdimensional Liaison, Sandra provides messages, articles, and videos focused on the Shift. 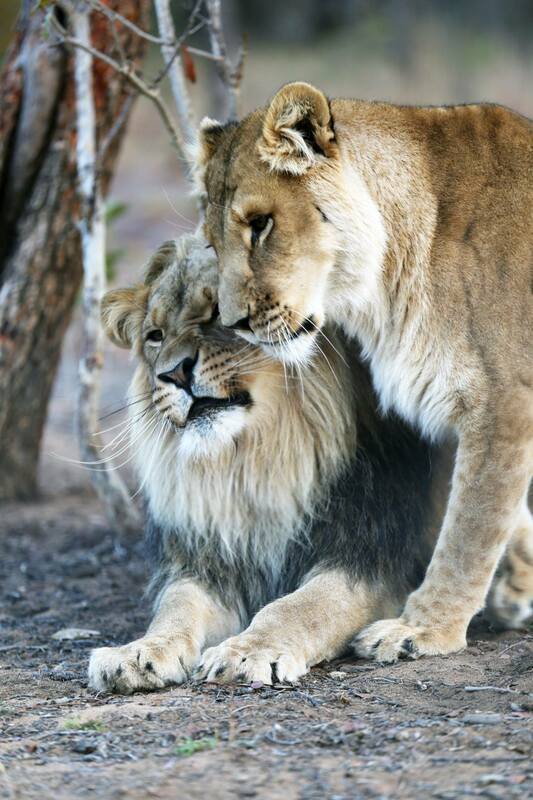 Posted by Goldie on Dec 7, 2013 in Blog, Dance, Inspiration, Yoga | Comments Off on For Yogis and Bellydancers . . . 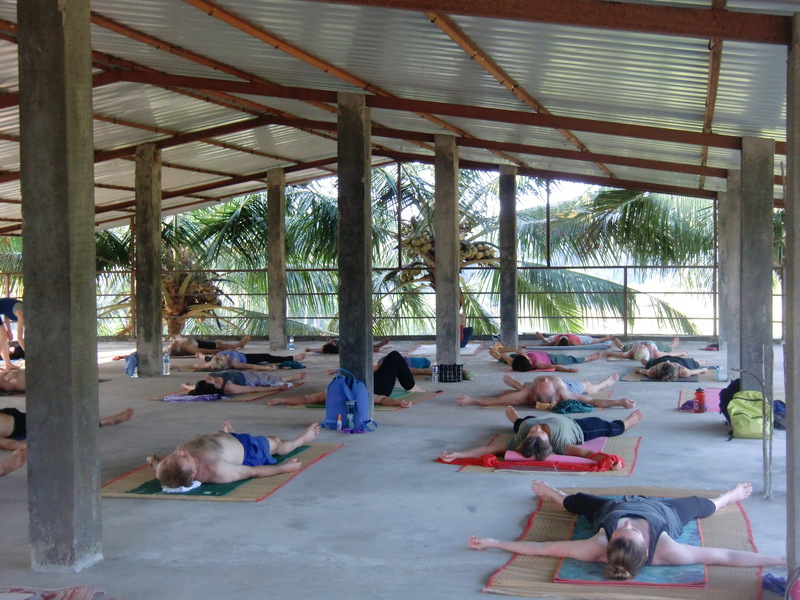 Here in Goa, India, and for this type of Yoga, we are learning certain breathing exercises (or Pranayama = an ancient practise working with breath control). It’s fun to notice that one of the exercises (the “tummy flutter” is what I call it) is also seen performed by Sadie in this Bellydance (be on the look out for the “tummy flutter” in this 3 minute dance) . . .
Posted by Goldie on Dec 4, 2013 in Blog, Inspiration | Comments Off on You Don’t See This Every Day! Well, perhaps here in Goa, India, it is not such an unusual site; however, this is definitely not something I’m used to seeing every day (or any day for that matter – ha ha!). 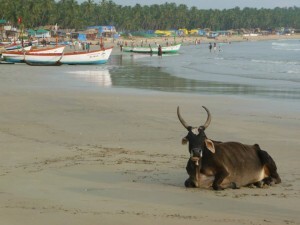 Cows are sacred here in India, so seem to roam wherever they please. It’s fascinating to see them wandering through the local Saturday Market (in Chaudi) as if they are shopping, or sauntering into a store or up to a Food/Drink Stall as if they plan to place an order! 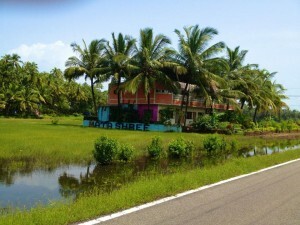 For more interesting pictures of our adventures here in Goa, India . . . please visit the GALLERY page of this website, and click the red letters “MORE PICTURES HERE”! Enjoy! 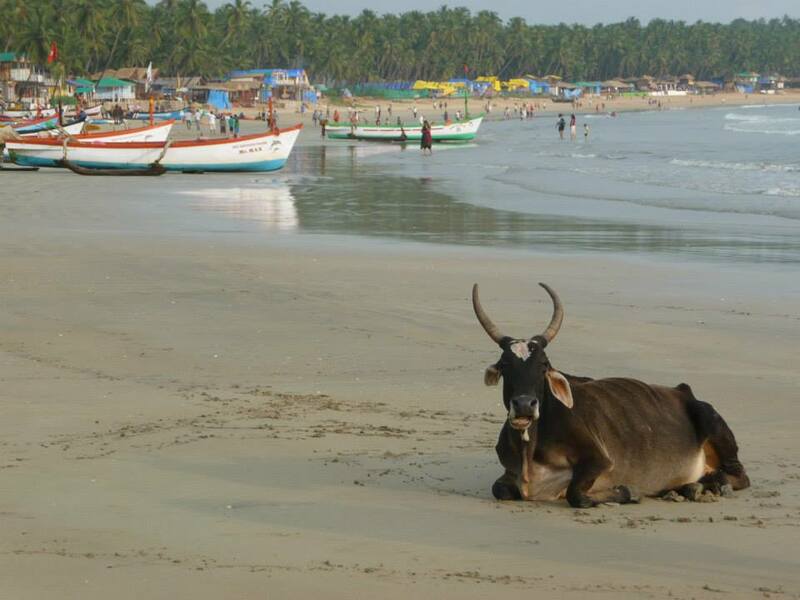 Posted by Goldie on Dec 3, 2013 in Blog, Yoga | Comments Off on Yoga at Night in Goa! 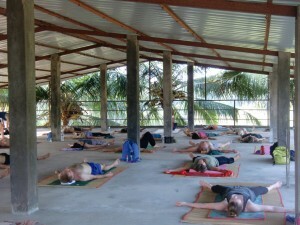 Ashram means “Community” ~ so here we are in Goa, India, surrounded by Yogis from all over Planet Earth. There are some long term students here ~ staying 6 months, a year, or more and so with students coming in for 1 or 3 month stays, the numbers go up and down monthly. For December 2013 there have been about 50 of us; and in January 2014 there will be about 90 of us (pretty much capacity for this location at this time, I believe). The main building where we meet in “Community” for our classes, lectures and for our meals is called “Mata Shree”, which means “Auspicious Mother”. It used to be a hotel & restaurant, and has 3 floors. The first floor has the kitchen/dining/meeting area/plus some rooms, the 2nd floor is all rooms, and the roof top is a wonderful space, open yet mostly shaded, for our Yoga classes. The other large building, where James and I are staying, is about a 5 minute walk from Mata Shree. It is called “Brandon Inn” and was also previously a hotel. When the rooms at both Mata Shree and Brandon Inn are full, rooms in the Village Community are rented monthly as needed . 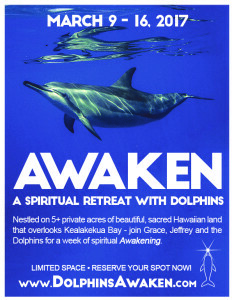 . . this way, our “Ashram” becomes part of that community as well. NOTE: For more pictures, please visit my Gallery page and click on “More Pictures Here”! Enjoy! 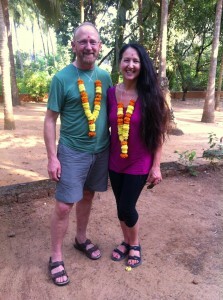 Goldie & James arriving to the Shri Kali Ashram in Goa, India! www.goldiedenise.com/gallery then clicking on the words in red “MORE PICTURES HERE!” BE sure to look at the two latest “sets” as one is of our short stay in Mumbai and the other of Goa, India we will continue to add to ~ happy viewing! Inspired by Lara & Kev! Posted by Goldie on Nov 17, 2013 in Blog, Yoga | Comments Off on Inspired by Lara & Kev! 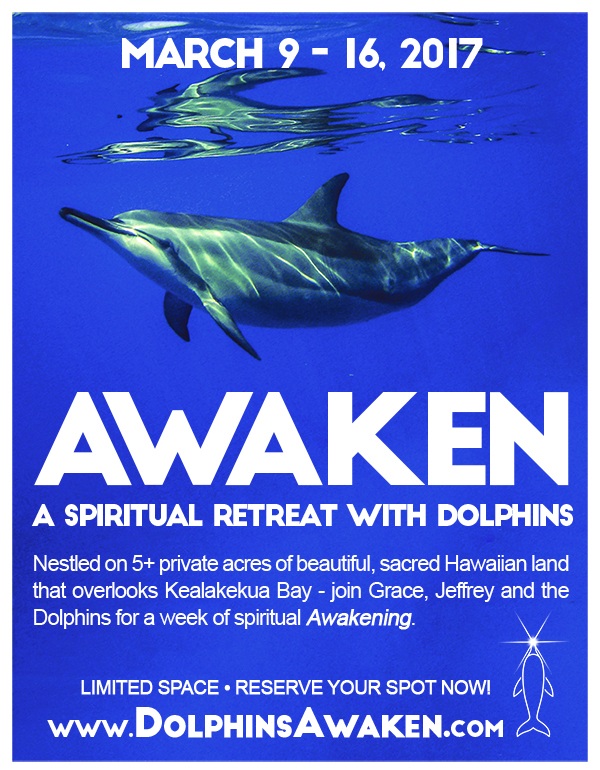 James and I are heading out next week to Shri Kali Ashram in Goa, India to immerse in the yogic lifestyle there learning the Traditional Tantra Yoga system known as “Kaula” and much more (to include Ayurvedic Walking Massage – where you give a massage using your feet!). 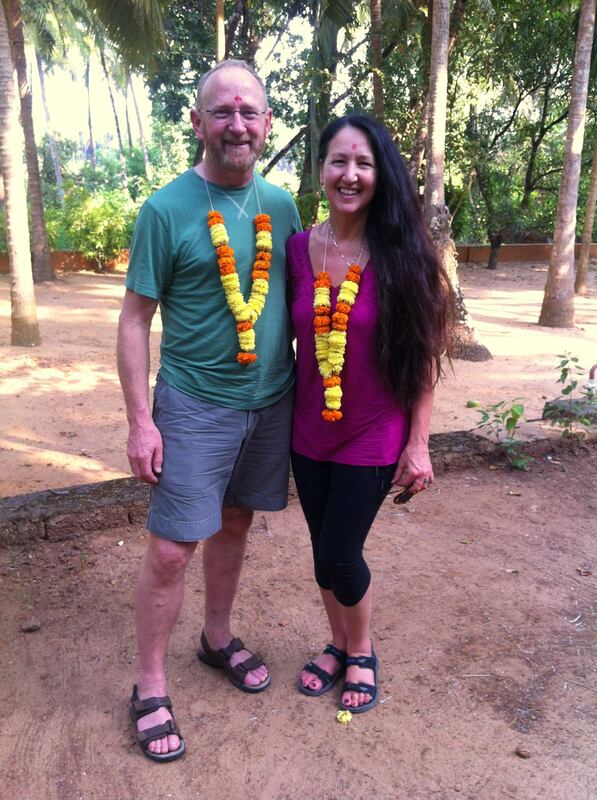 This will be a wonderful adventure for us and we want to thank Lara Berg and Kevin Heidt, Founders of Brightside Yoga, for introducing us to this style of yoga and the idea of attending the school in India! Lara & Kev are an amazing and inspiring young couple who made the video below while in India winter of 2012 ~ check it out!